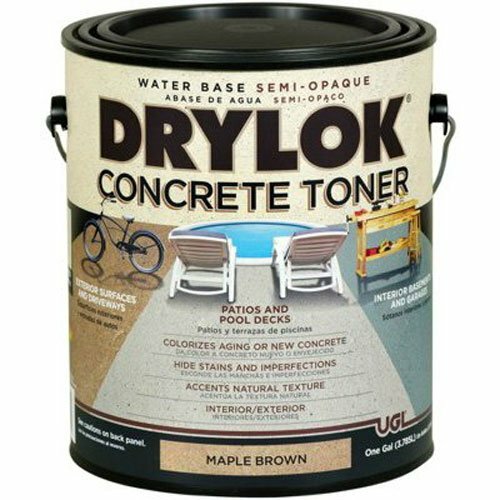 Dry lock, gallon, maple brown, water base concrete toner, specially formulated to colorize aging or new concrete that has not been coated while maintaining the natural surface texture, hides stains & imperfections on interior & exterior masonry floors, garage floors, patios, pool decks, above grade foundations, sidewalks & concrete steps, penetrates the pores of the concrete & allows it to absorb into the concrete eliminating the peeling & flaking, withstands moisture, traffic, weather & washings. This product adds a great value. Product is highly durable and very easy to use. This product is manufactured in china.